Oh no! A clicker! The mutated Cordyceps is infecting Eora! Adolescence as a female death godlike really must be hell. Eww. I wonder where else exactly that stuff grows on their body! Is anybody planning to play as a death godlike? Because they look awful. Lul Mcomb was only 22? How the heck did he get to be one of the main book writers at TSR and only be 22??? These days you have to be frigging published or they won't even look at your application. 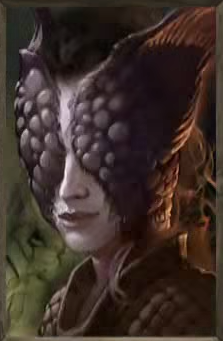 That said I loved Planescape as a setting, he did good stuff. Even if the complete book of elves sucked. I'm sure I'll play as the DGL at some point. Their appearance is bizarre, but I'm not turned off by it. I think I prefer the male DGL, however. If I'm playing a class that can benefit from their bonuses, sure, I'll use this race. Now, if I was going to date one of these guys, that would be a different story most likely! Not sure I'd be up for that! Yeah, I have been thinking, for a later play through, a DGL Paladin (Dunno what Order though). A combination of Flames of Devotion + Death's Usher sounds pretty fun. 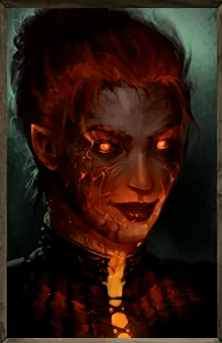 Add in the talent from one of the Gamescom streams that increases Flames of Devotion's damage, and I think that I would have a character with some killing blow power. Did you just create a new acronym? I broke out my deep pondering skilz for atleast 25 seconds trying to decipher DGL before I got it. I may have at that! At the time TSR was run by Lorraine Williams. From the stories I've heard, working there probably kinda sucked. Screw you, Lorraine Williams. Wherever you are. Also, I remember having the Complete Book of Elves as a kid. I don't remember a strong reaction to it at the time, but I did grow up to despise elves and all they stand for. There may be a subtle causal link I haven't acknowledged. I cannot be the only one who hates this picture, because of the **** eating grin. More importantly, if you are grinning while eating ****, you have larger problems to worry about than your portrait. I always found the portraits in these games terrible, in basically all of them. I didn't know you could import though so I'll make some of my own for this game! 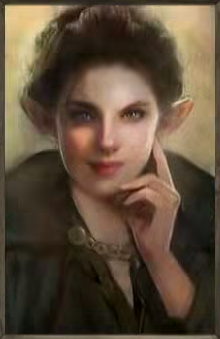 Unlike most peeps here, it seems, I don't mind elves - but that smirky portrait really crawls under my skin, where it inserts tiny eggs of Beverly Hills 90210 emulation! 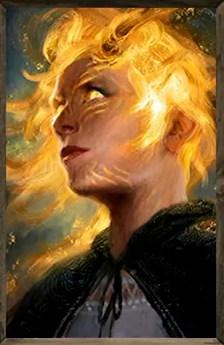 If any NPC in the game has a portrait like that, I'll unleash my horde of killer rabbits and insta-kill! with big nasty pointy teeth ... look at the bones! Meh, I wish there were no portraits with a base that change.. I'd rather have them unique. 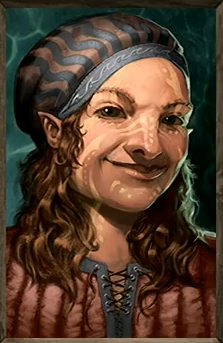 That said some of the portraits are really good, but I find the elf meh because of the aforementioned reasons. 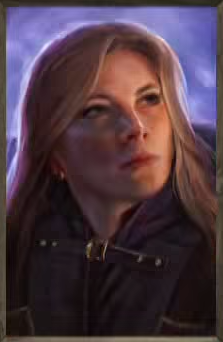 It looks like there's two types of portraits the standalone / IWD type ones and the modular / BG type ones. Neither is inherently bad, but mixed in together they lack cohesiveness and it looks jarring side by side. The two portraits on the bottom left looks like they're based on photographs, which then have been painted over. The one in the middle in the bottom row is perhaps a backer portrait. However, she actually looks quite a lot like the portrait right above her, which is weird. The two portraits in the corners of the upper row are my favourites among this bunch.